GotToLove♥: Love for Bath & BodyWorks. I will start this post of by saying I wish I lived in America, they have such cooler stuff then the UK! I would also like to say that I wish my house was in Bath& BodyWorks! I've watched so many youtube that feature products from there and I'm so jealous, I don’t even think we have an equivalent to it in the UK, which is really sad. But luckily I have one product from there that I was given as a present from someone who went to America, it’s anti-bacterial hand gel. 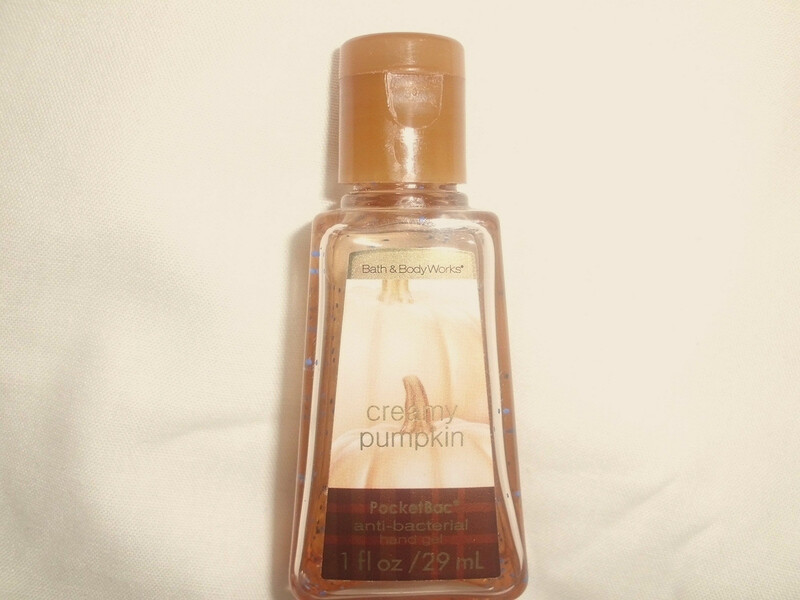 This may sound boring to the average person but it smells like smooth pumpkin which in my books makes anything incredible. I also find that it leaves your hands feeling really smooth which is a big plus as this isn't something hand-gel usually does. It’s also a really nice change to have an anti-bacterial gel that does smell like alcohol as it makes me feel really quite sick. There are also tiny little beads of blue stuff...I don't really know what these are for if I'm honest but they're pretty. I need more of these things, it’s half empty and I think I may go crazy if it runs out and I have no more. I also really need some pretty candles -that obviously smell nice to- but mainly just for decoration. I've heard they are all really good prices as well which just makes me even more sad as I love Yankee Candle but they are just so expensive but beautiful. So to some up, I need to go to America, if anyone’s planning on going there, please smuggle me in a suitcase!